The Lake of the Ozarks is a diverse area that offers exciting vacation opportunities, beautiful living conditions, and a very diverse business environment. 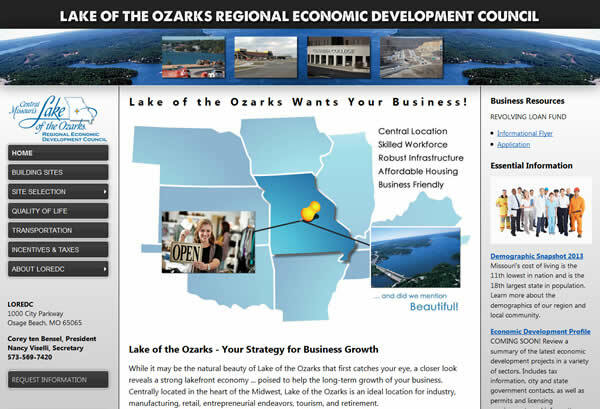 Welcome to Lake of the Ozarks, the best location for industrial, entrepreneurial, tourism, and retirement information about Lake of the Ozarks. You will find detailed information about each of these areas of interest as well as important community profiles and entertaining information. So please take the time to explore this site and enjoy! For more information contact the Camdenton Area Chamber of Commerce at 573-346-2227 or info@CamdentonChamber.com.